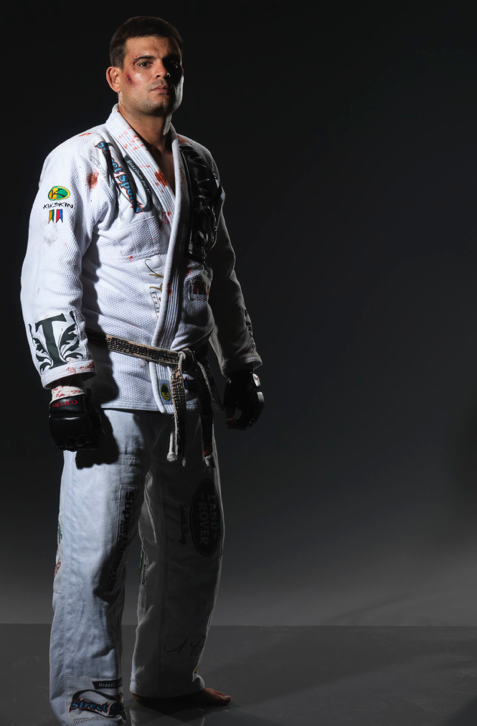 Jiu-Jitsu entered Renato's life at a young age; his father, Carlos Magno, used to train with the Gracie family. Renato soon started participating in tournaments - the first medal he ever won was gold at the age of 13. Judo, which he practiced at the time, ended up being sacrificed for this new passion. His development as an athlete was influenced by Masters Gastão Gracie Jr., Carlos Gracie Jr., and by the Machado Brothers. It was the Machados who convinced Renato Magno to move from Brazil to the United States - where he arrived in 1991 - as an instructor at their academies. 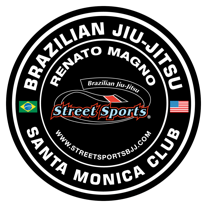 In 1998 Renato opened his own academy, Street Sports Brazilian Jiu-Jitsu, located in Santa Monica, where he has students ranging in age from 8 to 65. His wife, Sabrina manages the academy. As a nutritionist she plays a key role helping students maintain good physical health through advice on proper nutrition, functional foods and supplements. Renato has many illustrious pupils. As a "Defensive Tactics Consultant", he teaches Jiu-Jitsu secrets to the LAPD (Los Angeles Police Department) and the NYPD (New York Police Department). He has taught more than eight thousand officers and received a prize for this service. Through Jiu-Jitsu and Renato's projects with the Los Angeles Police Department, martial arts have been applied as the non-violent approach to resolve confrontation. Renato has participated in several cinema and TV productions. His most recent and most important role was performing as an actor, technical consultant and fight choreographer for "Red Belt", a movie with Chiwetel Ejiofor and Alice Braga which opened in May 2008. As David Mamet's private instructor for the past seven years, Renato was pivotal in bringing together the best fighters in the martial arts arena into this project and providing David with some of the raw material for the story. “This was a great opportunity to show Brazilian Jiu-Jitsu is successful abroad, thanks to the Gracie Family, who opened doors for Brazilian athletes” says Renato. That's why, he says, Brazilian Jiu-Jitsu stands out among other martial arts. It is a soft art. We're here selling the art, the technique and the philosophy, without unnecessary violence. Over the years, Renato has accumulated several awards both in Brazil and in the United States. Renato's fine character combined with his extraordinary skills made him one of the best Judo & Jiu-Jitsu fighters and one of the world's greatest martial arts experts. Most importantly if you decide to enter the door of his studio in Santa Monica you will find a down to earth, laid back guy who will bring Jiu-Jitsu at your level while making sure that you are having fun with it.